GB Sciences, Inc. (OTCQB: GBLX) and Arizona-based Kush Cups signed an agreement to produce cannabis-infused products in the state of Nevada. GB Sciences utilizes a proprietary tissue propagation technology as well as curing techniques and grows in Cleanrooms. These procedures ensure a medical-grade cannabis with consistent THC and CBD levels that is free of pesticides and molds. “We’ve paired with a strong partner here. We are confident GB Sciences will distribute the Kush Cups successfully in Nevada.” said Rick Chavez, founder of Kush Cups Nevada LLC. The medical-grade cannabis will be grown in a 28,000 sq ft state-of-the-art Cultivation Labs facility in Las Vegas. 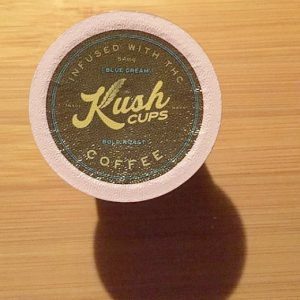 This superior cannabis will serve as a key ingredient in the Kush Cups cannabis-infused Keurig compatible K-Cups, hot and cold brew coffees as well as infused teas.